Dr. Suzanne Bell, a forensic scientist at West Virginia University, estimates that a new synthetic drug is found on the streets in the U.S. nearly once a week. On average, new synthetic drugs pop up every seven to ten days. Powerful synthetic opioids are being manufactured overseas and smuggled into the U.S. They are predominantly produced in China, apparently. These synthetic opioids are one complication affecting the complex problem of the opioid addiction crisis, which was declared a national public health emergency in November. These obscure chemicals are not technically illegal. Once they’re identified, it takes time for the Drug Enforcement Agency to classify them. Frustratingly, legislation is left lagging behind in creating laws concerning these new drugs. Fentanyl and analogs of fentanyl, which are closely related compounds, are a leading cause of fatal overdoses for those using opioids. Often, fentanyl is sold on the street as heroin. Fentanyl can be 100 times more powerful than more common opiates like morphine. Carfentanil, an analog of fentanyl, could be up to 10,000 times as potent as morphine. Just handling that substance can be lethal. Police officers and medical professionals are put in great danger because of these dangerous chemicals. The Center for Disease Control (CDC) has suggested that out of the total number of fatal opioid overdoses in 2016—20,000 of those deaths were caused by synthetic opioids. In some cases, the substances that caused the deaths can’t even be identified. 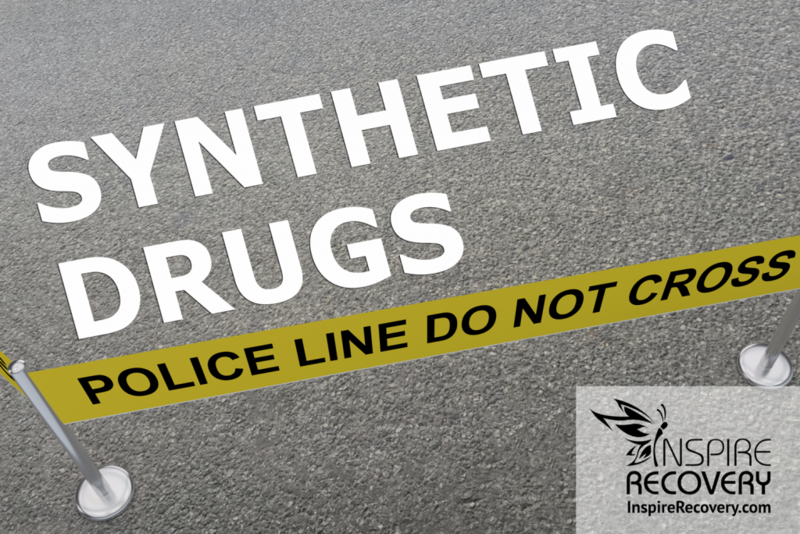 Synthetic opioids are appealing to drug dealers and traffickers because their potency allows for much smaller quantities to be needed. They’re easier to smuggle into the country than heroin for that reason. The ever-changing tide of these synthetic opioids are often not even illegal anyway. The risk of being criminally prosecuted is markedly less. Unfortunately, what’s good for business stays in business. This recent trend of synthetic drugs will not easily fade away. This is why prevention and proper care and treatment to help people who are addicted get clean is so very important. If the demand for these drugs is lessened then, hopefully, their presence on the streets will start to disappear. If you or anyone you know is suffering from this opioid crisis call Inspire Recovery today at 561-899-6088.